mickeymousje, DitzyDreamer, Nasubionna and 15 others like this. mickeymousje, Ajk, watzshakinbacon and 3 others like this. I have something so exciting waiting for me at home! I also picked up an awesome cherry blossom festival pin! Awesome!! Love her expression! So much spite!! Ajk and caw caw rawr like this. Traded with khossler for the Death Star for my hubbie and purchased the Easter Chesie off of the bay. mickeymousje, arielsdinglehopper, *Firefly* and 1 other person like this. Traded with CCofRR13 and bought a few. mickeymousje, DitzyDreamer, slbrabham and 5 others like this. Bought some pins from imp's sale, eBay and also traded for some. The vinylmations are for my son and tsums for my daughter. CCofRR13, mickeymousje, DitzyDreamer and 8 others like this. Forgot these, I've wanted these for such a long time, I love pins that make me chuckle, just need oogie to complete the set. CCofRR13, mickeymousje, Nasubionna and 11 others like this. I didn’t know this was a whole set (only knew about maleficent). Teehee what a silly set!! Ooo! That Eric and Max pin! I've been working on getting that one for the longest time. And I love the Flubber pin! 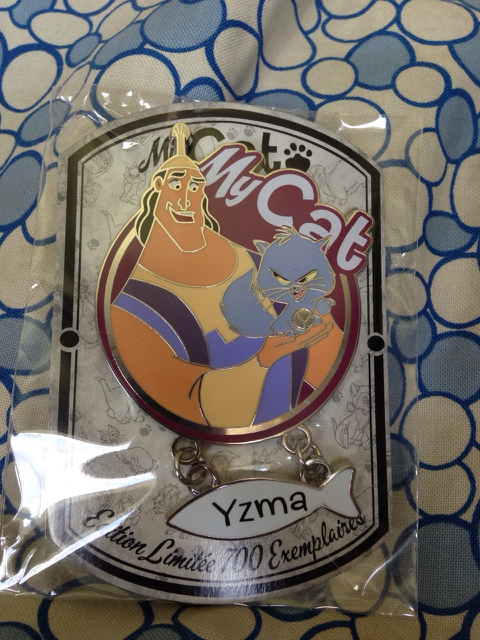 Congrats on the awesome pin mail! It really is one of those "1 down a ton more to go" feelings with this series. It's gonna be a long one but it's part of the fun. This set cracks me up too! I love Halloween pins...may have to put them on my wants. Good luck on getting Oogie! Great pin haul. I love the Eric and Max pin. I noticed two more pins from the Life Lessons mystery set hiding in the back. How many more to go? Yes just 1! The Rapunzel Go live your dreams! 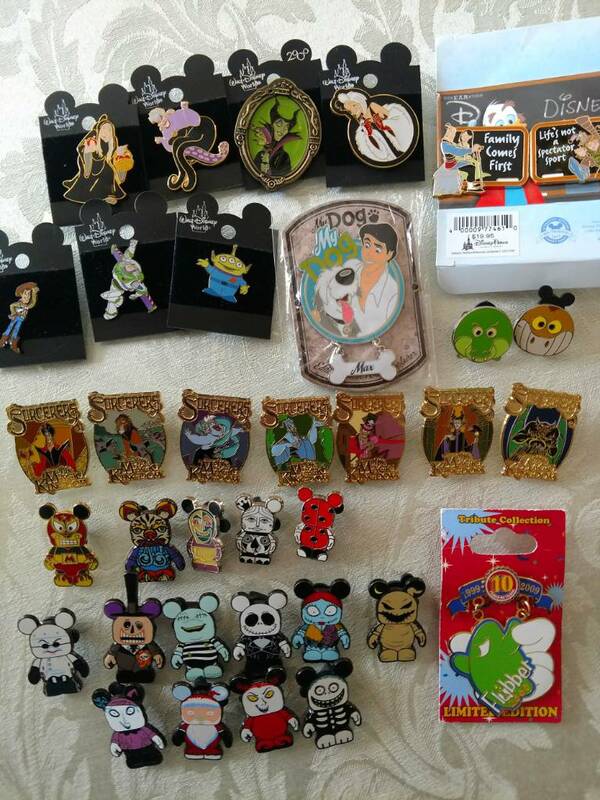 Well for this blackboard set anyway, still have plenty more of the ones with the green board, I think those are LE...I was so happy to be able to trade for the Mulan one, it's my favorite of the set. The Mufasa with green board is my favorite in the other set. Traded with Tiffany for the Ariel Character Block and had a friend pick up the Winnie the Pooh Spring pin for me. 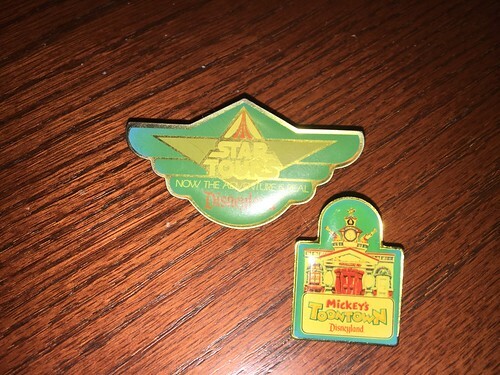 Traded with my friend Marc for the Character clusters and he zapped me with the Mickey pin. Good week of pin mail for me. Sami, CCofRR13, mickeymousje and 8 others like this. Pretty purple pins - from a trade with @Killerslayer! Sami, CCofRR13, mickeymousje and 10 others like this. 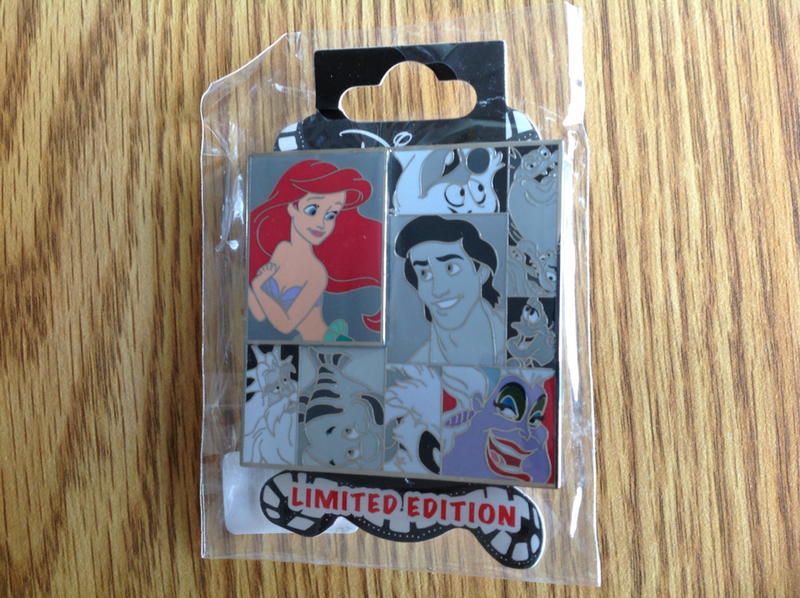 Made a pinpics trade for these, they are so cool! Love spinning mulan's umbrella and I didn't realize the carousel pins go up and down! Sami, NutMeg, CCofRR13 and 6 others like this. Not a mail acquisition, but a local antique store. I'm supposed to be in pin jail, and I hardly ever find pins here. I was supposed to be looking for something for my Dad for his birthday, but nope, shopping for myself. Sami, mickeymousje, TheMickeyMouseRules and 4 others like this.